This is our lament , weeping of a son for his father, weeping of a wife for her husband. 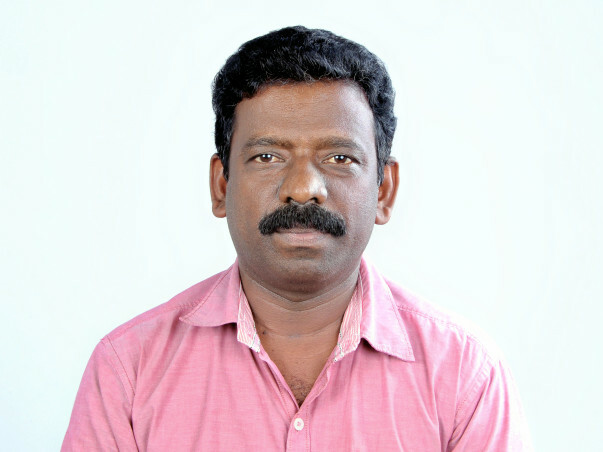 My father is suffered from kidney failure from almost two years. He already transplanted his kidney few years back . Now the disease has been reconquered again. From this period of time almost all of our wealth has been spent over for the treatment itself ( 2 year of dialysis and rest over treatments ). As per his present condition an immediate surgery is needed now. 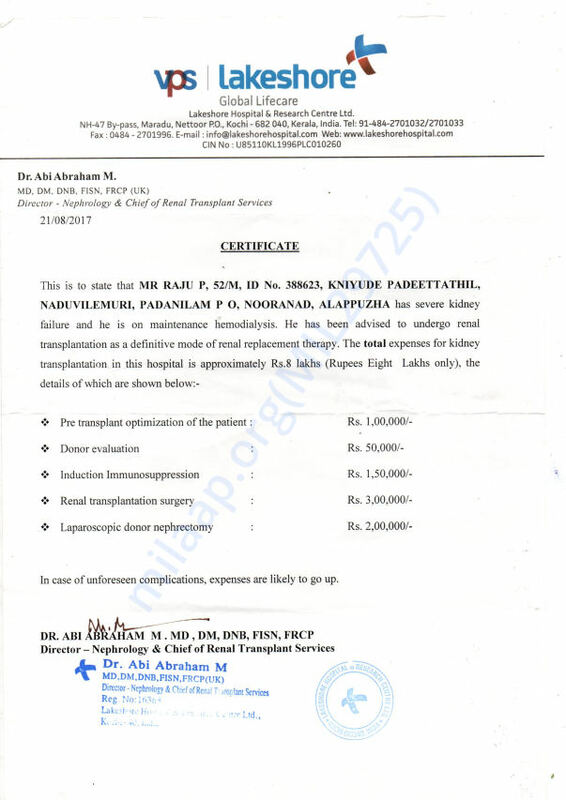 Here by I'm submitting the bill and payments of the surgery and other expenditures from the hospital. 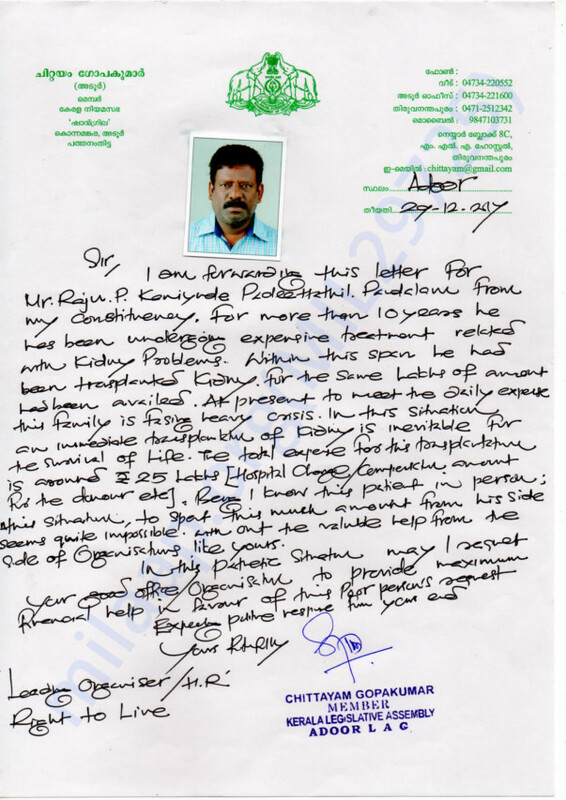 Patient : Raju P has been discharged from the hospital LAKESHORE HOSPITAL KOCHI, a week before . His health conditions are becoming fine . Great thanks from deep in heart to all of you who have helped us from this pathetic situation . May you recover at the earliest.